“What is your goal in life? What’s your dream?” asks chef Morena to her audience. Her gaze sweeps the room seated with students, alumni, and culinary enthusiasts, inviting a moment of awakening introspection. As the concept of working in the food industry changes in cadence with the world of food, this is an increasingly significant question for those pursuing a career in it. On Tuesday, August 29th, 2017, Paris graduate Morena Leite arrived in Tokyo to share her story. From aspiring anthropologist to chef, and now a global restauranteur, author, and explorer extraordinaire of the world’s great cuisines, Morena retold her professional journey, offering her narrative as one of many examples to success. 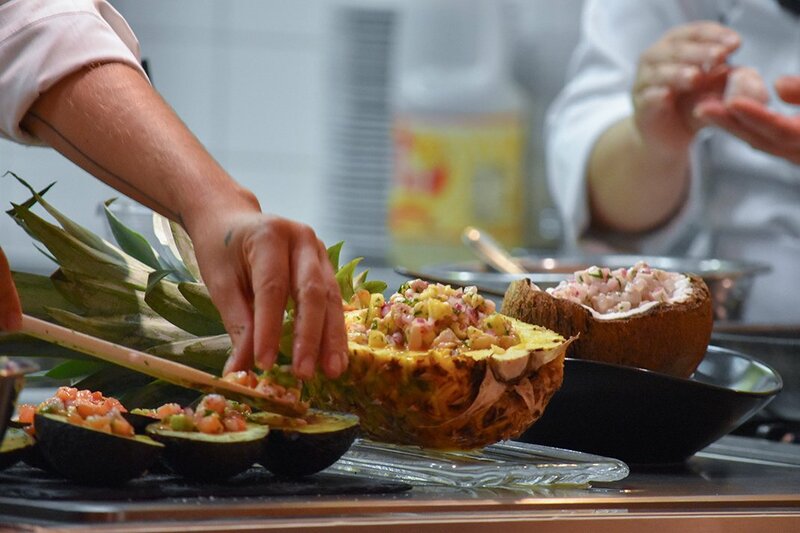 Showcasing imagery from her beautiful hometown in Brazil and treating audience members to a delicious trio of inspired Brazilian ceviches and tapioca blinis, she incited participants to reflect on the clarity of their professional goals. Morena warned her audience that time, rather, time spent meaningfully, is the key. For her, this was embracing her love for food and letting it permeate in all aspects of her professional life. And she hasn’t looked back since. Morena is on a trip around the world, stopping at over 30 countries to speak to aspiring and established professionals in the food industry or those just ready to make the jump. 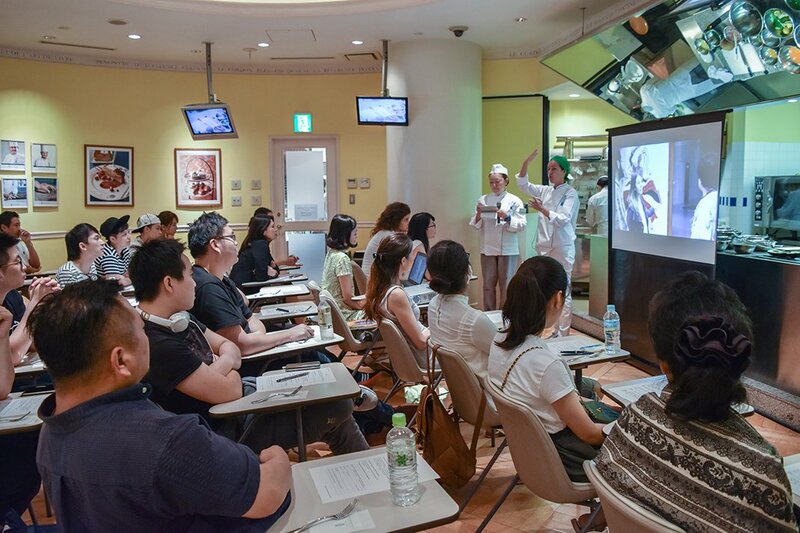 Sponsored by the Brazilian Embassy, the seminar at the Tokyo school was not only to share Morena’s story of success, but also an opportunity to share the colourful mosaic that is Brazilian culinary culture. Morena is an example of how modern-day chefs are more than meets the eye, adapting and expanding their identity in response to the ever-changing landscape of gastronomy. Indeed, as the meaning of food and what it takes to work with it evolves, Morena’s opening question may be more relevant that one realises, just like her approach to work and food. Thanks for visiting us, Morena! Brought up in a beach town called Trancoso in Brazil, where her parents were running a family inn of an atmosphere with full of pans and herbs. At the age of 17, Morena left for Paris to study French Cuisine and Pastry at Le Cordon Bleu Paris, graduated 18 years ago. It has been 17 years since she opened the first restaurant in San Paulo, which now extended to 5 establishments! In 2005, the year of Brazil in France, Morena was chosen to prepare for the cocktail party of 500 guests held at Place de la Bastille in Paris. 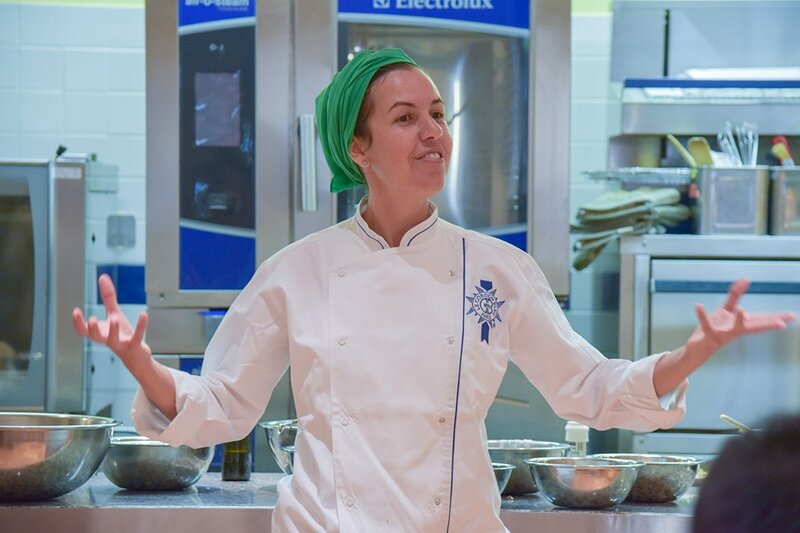 Today Chef Morena LEITE is the owner of SAGRADO Group; restaurants, catering business and culinary educational institute of 250 employees with 80 chefs. 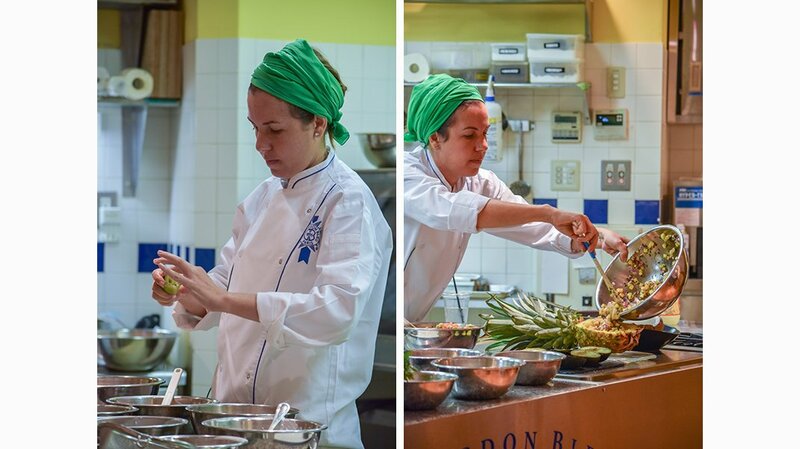 Considered as one of the leading gourmet chefs in Brazil, she keeps faith to Brazilian food and its unique ingredients. One among her 8 published books, “Brazil Rhythms and Recipes Hardcover (2006)”, won the Gourmand World Cookbook Award in its French version, “Sons et Saveurs”.